Could indicate an overloaded catalytic converter. This smell is from the compound hydrogen sulfide that comes from the small amount of sulfur present in fuel. If your catalytic converter breaks or is experiencing issues, the sulfur is not filtered normally which results in producing a rotten egg smell. This smell could also be an indication that your engine is running too hot or you have a broken fuel pressure regulator. Regardless of the cause, you should get this issue checked out immediately. This smell could indicate that you have brake issues. If your brake pads get overheated, which can happen even in normal driving conditions, you might experience this smell as a result. If you’re experiencing this smell, and you didn’t just leave the pump, this could indicate several issues: missing gas cap, fuel tank leak, fuel line leak, fuel injector leak, faulty charcoal canister, or issues with your fuel pressure regulator. Basically, if you’re smelling fuel, something is wrong. If you smell hot or burning oil, your car could be telling you multiple things. There could be leaking oil onto the exhaust manifold, a faulty vacuum modulator, broken temperature gauge, overheated engine, or you might just need an oil change. Regardless, if you notice this smell, get it checked out. If you notice a sweet, syrup-like smell, this could indicate a coolant leak. The source of this leak could be coming from the heater hose, radiator, cylinder head, and more. Coolant is toxic, especially to animals, so get this inspected ASAP. The list of funky car smells can go on and on. Basically, if you smell something out of the ordinary and there is no obvious outside source, the smell is a good indication of something gone wrong. 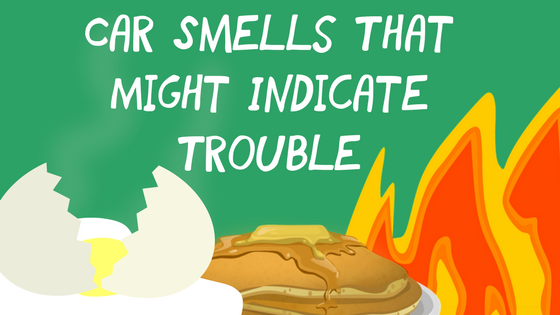 If you’ve experienced any of these smells, you should schedule a service appointment soon. New bulb(s). You can’t go out and buy just any new light bulb. Your dealership’s service center or local auto parts store should be able to match a new light bulb to the make and model of your vehicle. Supplies to clean and hold the new bulb. Alcohol wipes and tissues/gloves work great. Find this by opening the hood of your car and locating the headlight in pursuit near the front of your vehicle. You’ll see a bulb holder with a power connector leading to it (this usually looks like a set of three wires). Congratulations, you’ve found the headlight holder. The wires you just located should be attached to a plug at the base of the headlight. They are usually held in place by a metal clip, screw cap, or plastic catch. Depending on which device is holding the wires, carefully loosen and remove the wires from it. To do so, you should see either a lever, clip, or device you can unscrew to loosen the power wires and remove the old bulb. Use the supplies you’ve brought to handle the bulb. The gloves or tissues are meant to keep the oils from your skin from getting onto the new bulb. Clean the bulb with the alcohol wipes to ensure any oils, fingerprints, or dust have been wiped away. Once the bulb is clean, place it into the base of the plug where you just loosened the power wires and removed the old bulb. When installed correctly, none of the bulb’s rubber gasket should be visible. Now that the bulb is in, put the headlight holder back in place and plug the power wires into the new bulb. 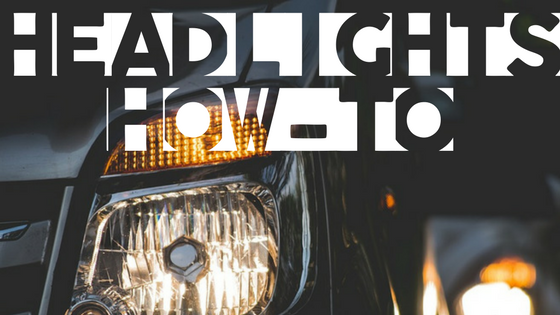 Simply make sure your newly installed bulb is functioning correctly by turning your headlights on! Once you’ve followed these five simple steps–voilà! You’ve successfully changed your own headlight and saved yourself a trip to the auto shop! Car batteries always die at the most inconvenient times. Whether it dies right before you need to leave for work or while you’re on vacation, it’s always a pain. 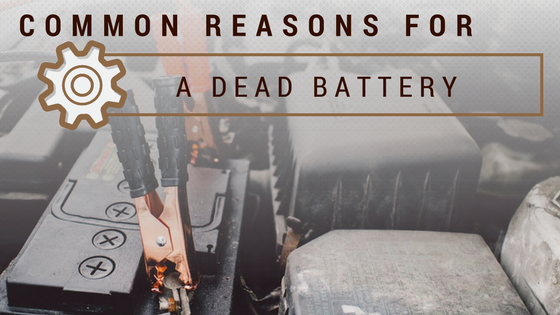 There are several factors that weigh into why your battery might have died. Here are a few of the most common reasons: Human Error Poor driving habits can affect the life of your battery. For instance, not closing your doors all the way, accidentally leaving the headlights or interior lights on, or leaving your trunk open can all contribute to draining the power of your battery. Your car battery needs the chance to rest and recharge, that’s why accidentally leaving a light on in your car overnight can be detrimental to the battery. Most modern cars now have features that alert you when a light has been left on, or if a door is still open. Pay attention to these alerts and become more conscious of your driving habits to help benefit the life of your battery. Charging Malfunctions If your car’s charging system isn’t functioning properly, your battery could drain even while you’re driving. Your vehicle’s alternator is often the one that powers the lights, radio, and other systems. If the alternator has had an incomplete charge, this can factor into your car battery not being able to accept a full charge, which in turn will not be able to supply enough power to your vehicle. If you notice your car constantly having issues starting, this can be a symptom that your vehicle is having trouble charging. Get this checked out before it turns into a dead battery! Parasitic Drain This occurs when a discharge of power continues to occur after your engine is shut off. However, some parasitic drain is normal. Your battery is built to keep components like your radio presets, clock, and security features operating at all times, but if other components in your vehicle continue to run after the engine has been turned off, the parasitic drain can exceed what’s normal and lead to draining the battery. Your Battery Is Old It is possible that your battery has died simply because it has lived its life. The typical car battery can last around 2 – 6 years, depending on your driving habits, vehicle make and model, etc. If your battery is old, it will start to not hold a full charge, and ultimately just wear out. If you’ve had your battery around five years and you start to notice a slow engine crank, it might be time for a new battery. If you’re experiencing issues starting your engine, a low battery fluid level, a battery leak, or issues with your lights turning on, these are all symptoms that your battery might be on its last leg. A good rule of thumb is to have your battery checked yearly to catch any problems that might occur before you run into trouble. Oil or grease on your brakes can lead to failure. Unlike your engine, the brakes do not need lubrication, and if lubrication such as oil or grease make its way to the brakes, this interferes with the friction needed to come to a stop. Keep an eye out for oil leaks. If you notice a leak, this can indicate that an oil seal has failed. Get this checked immediately to prevent further damage. Your brake pads are built to work up to a certain temperature. If your brakes get severely overheated, they start to break down. If this happens, the metal in the rotors or drums can develop hard spots, also known as hot spots. These spots interfere by resisting the friction from the brake pads and shoes. If these don’t have friction, braking power is lost. A symptom to look for here is a change in feel on your brake pedal. If you notice that you’re having to press harder on the pedal, and seeing less of a reaction, get this checked immediately. 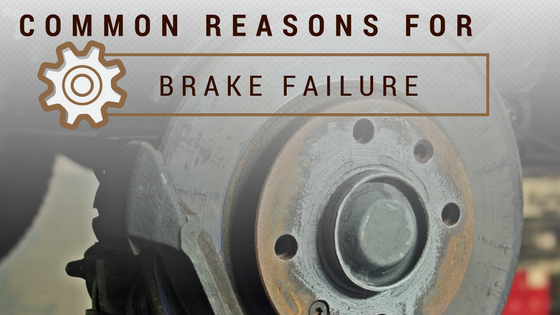 Another common cause that leads to brake failure is the wear on your brake pads. The longevity of your brake pads depend on the make and model of your vehicle, and your driving habits. Some brake pads can last around 70,000 miles, while other drivers might notice they’re having to change their pads around 25,000 miles. Your front brake pads typically wear faster than your rear ones. If you find yourself frequenting congested highways or doing more city driving, you’re probably doing some heavier braking, which means your pads will wear out quicker. A symptom that can indicate your brake pads might be wearing thin, are, squeaking or squeal noises coming from your brakes. If you start to hear these noises, get this checked ASAP! You can replace the pads before you cause any further damage, or danger yourself on the road. I hope learning these common brake failure culprits help ease your fear. Keep an eye out for these symptoms so you can prevent damage to your vehicle and stay safe behind the wheel! Spark plugs are a critical component to your vehicle’s internal combustion engine. Without a spark, your fuel couldn’t ignite in the combustion chamber. When running smoothly, spark plugs will burn fuel efficiently. However, faulty, bad, failing, or misfiring spark plugs can be the result of many different causes. Let’s unpack a few of these potential damaging causes and symptoms to look for: Slow Acceleration Similar to your vehicle’s air filters and oil, your spark plugs require routine maintenance. Every vehicle requires a specific type of spark plug made up of unique materials. Sometimes these materials can simply wear out, reducing the effectiveness of your spark plugs, leading to symptoms such as slow acceleration. If you start to notice your car running sluggishly, and it’s not accelerating as quickly as it used to, don’t just brush these observations off. This is a symptom that can indicate failing spark plugs (or other potential issues). Poor Fuel Economy Another common symptom that can allude to failing spark plugs is a decrease in your car’s fuel economy. What causes this decrease? Often, this is because the gap between the spark plug electrodes is either too far apart or too close, or your spark plug might just be worn out. If you notice your car’s fuel economy decreasing, or you are experiencing higher fuel consumption, have a mechanic examine your spark plugs and adjust the gap before possibly having to replace them entirely. Engine Misfires If your engine misfires, it’s typically because of an issue with the ignition system. However, sometimes this issue can be traced back to the spark plugs. If the wire or tip of the spark plug has been damaged, this can lead to ultimate spark plug failure. If you notice your vehicle making sputtering sounds or intermittent stumbling from the engine, have this checked as soon as possible. 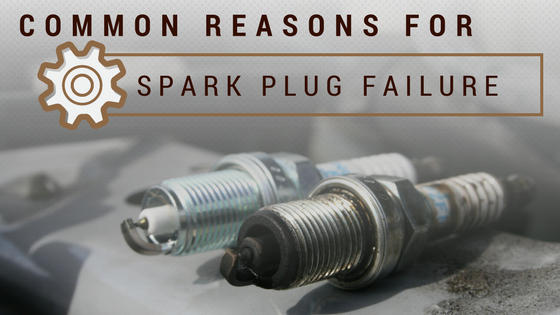 Regardless of the cause, it is inevitable that your spark plugs will eventually wear out. That’s why regular maintenance on your spark plugs is necessary. Stay observant of how your car is acting and reacting to things, and remember to look for the common symptoms associated with spark plug failure! Especially in the summer heat, we rely on our vehicle’s air conditioning to provide a refreshing breeze on our drives. Stepping into your car that has been parked in the sun only to find that your A/C has quit out on you is something I wouldn’t wish upon anyone! Here are some common reasons that can lead to A/C failure, and actions you can take to prevent this nightmare from happening: Faulty Fuse or Circuit Breaker In the event that your air conditioning fails, one of the first things you should check is your circuit breaker and fuse. Many fuses use a strip of wire that can melt or break if the amount of current passing through it exceeds its capacity. Your car’s fuses are installed in line of specific circuits, in order to protect the circuits from overloading. If you notice that your vehicle’s accessories, such as the wipers, radio, power locks, etc, suddenly start weakening or cease to function, this can indicate a faulty, broken, or dying fuse. Look for these signs, so you can catch the problem early before it affects your air conditioning system! Refrigerant Leak If your vehicle’s refrigerant (a chemical your car uses for cooling) is not at the proper level, this can harm your A/C’s ability to function properly and lead to A/C failure. A/C systems are sealed and don’t require a top-off of refrigerant, therefore if the level is low, you have a leak that needs to be addressed immediately by a certified service technician. These leaks are trickier to notice. Symptoms can include an oily residue on or around the A/C hose units, connections, or potentially on any components of your air conditioning system. Worn Out Compressor The compressor is essentially the heart of your vehicle’s air conditioning system. 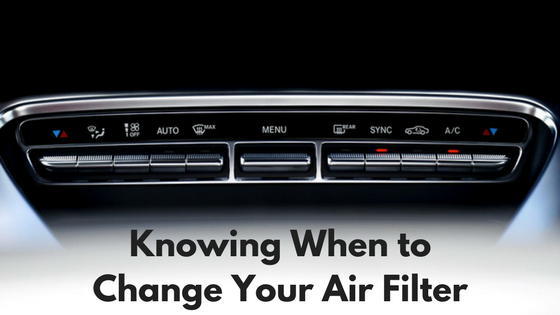 It circulates the refrigerant and removes heat from your vehicle’s cabin. The compressor can simply just wear out over time, which can lead to issues with your A/C. However, there are some preventative measures you can take to prolong its life. Whenever you are getting maintenance done on your car, have the technician do a simple compressor inspection. Take matters into your own hands and run your compressor for about ten minutes once a month, regardless of the temperature outside. 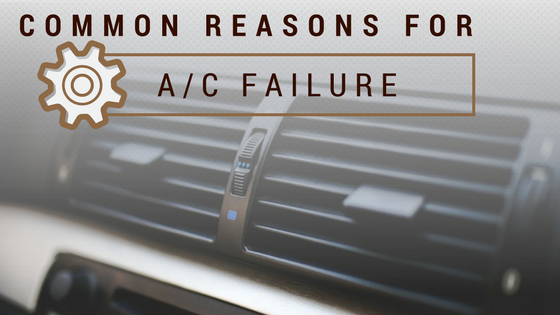 If you start to feel warm air blowing through your vehicle’s A/C system, that is a good indication that something is damaging your air conditioning. Whether it’s one of these common issues listed above, or another A/C damaging culprit, keep an eye out for the symptoms so you can avoid complete A/C failure! Your vehicle’s transmission is one of the most important components of your car. If transmission problems arise, they can boast a hefty price tag to repair. Here are some common reasons that lead to transmission failure, and steps you can take to prevent these issues from occurring! Low Fluid Levels or Leaks. This is one of the most common transmission problems that I’ve seen. If you have low fluid levels, that is usually caused by leaks in the transmission system. Leaks can be caused by multiple different things, such as the seals in the transmission becoming faulty. Keep an eye out for low fluid levels or leaks in your transmission by looking for these symptoms: gear slippage or slow shifting. In the event that you find a transmission fluid related issue, you may need the fluid changed or transmission completely flushed and refilled. Torque Converter Problems Your vehicle’s torque converter pressurizes automatic transmission fluid. One of the most common problems that I’ve seen associated with the torque converter are worn or damaged needle bearings. Symptoms to look for here: when your vehicle is in a driving gear, you hear grinding sounds. This can affect your vehicle’s ability to properly operate, and ultimately lead to transmission failure. Overheating Overheating can be caused by multiple different factors, common ones being low fluid or a heavy tow load. If your car becomes overheated, this can cause your transmission to seize and often leads to the need for a total replacement. This is something you want to avoid at all costs. Stay aware of your vehicle’s fluid levels, and don’t over-work your vehicle. Solenoid Problems The solenoid in your vehicle controls the flow of fluid throughout your transmission. The solenoid can become damaged due to low fluid levels or various electronic related issues. Problems with the solenoid are often mistaken for low fluid levels or leaks, so if you are noticing gear slippage or slow shifting, and there are no leaks, the solenoid should be the next component you check. Driving Habits Your driving style has a direct correlation to how well your car performs. Improper shifting, aggressive driving, and general neglect of your vehicle can lead to transmission failure. For example, never shift a car into reverse while it’s moving forward! 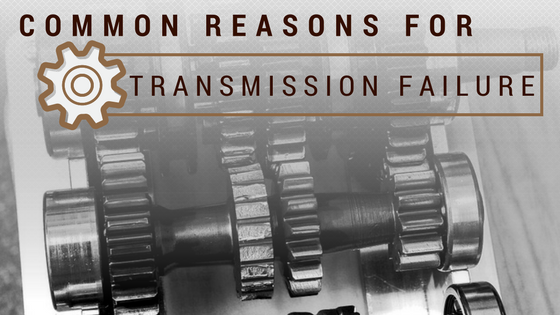 These are just a few of the many common factors that can lead to transmission failure! Take note of the symptoms you should look out for, and simply drive smart! If you are noticing any of these issues, schedule a service appointment now. For these reasons, and many more, McCarthy Auto Group is proud to support the Boys & Girls Clubs of Greater Kansas City and West Central Missouri, and look forward to continued support in the future! 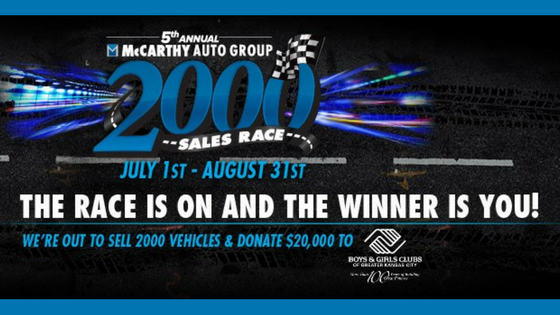 Shop the 5th Annual McCarthy 2000 Sales Race now! Saving money is a goal everyone has, especially when it comes to saving on their car. Whether you drive a gas guzzler or an innovative hybrid, everyone loves to save a little money when it comes to fueling their vehicle. Aside from finding the best deals on gasoline in your city, there are some simple things you can do to make your dollar go farther at the gas station! 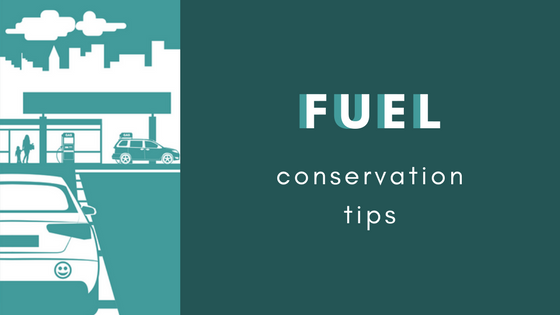 Read on to see how you can start saving some Benjamins by conserving your fuel. Your driving habits have a direct impact on your vehicle’s fuel consumption. Thus, unsafe driving isn’t just dangerous, it’s expensive. Do you always have to be the first one out of the gate at stoplights? Maybe you like to test your car’s 0-60 time every now and then. If this is you, you’re not only endangering those around you, but you’re wasting hard earned money. When you accelerate too quickly you are making your vehicle work harder than it needs to, causing your car to use more fuel. It is fine if you like to live life in the fast lane, just take your time getting there. Smoothly accelerate while following the present speed limit. Simply lightening up on the pedal will improve your gas mileage. Another common gas guzzling cause is idling. This means that your car’s engine is on but you are parked and not moving. Whether you’re warming up your car in the winter, waiting in the school pickup line, or waiting in the car while your loved one is shopping, idling is almost inevitable for most. Idling your vehicle is wasting gas. So, if you find yourself stuck in your car and not moving, put your vehicle into neutral or turn it off. This simple action will help save gas and the environment! Make your car as aerodynamic as it can be. Your car is designed to be aerodynamic, but maximizing this quality will help you conserve fuel. Try to keep your windows rolled up and refrain from blasting the air conditioning and you’ll begin to see an improvement in your gas mileage! Other car accessories such as bike racks or luggage rails can add unnecessary weight and put a drag on your vehicle. Only use accessories when necessary, and remove any extra weight from your vehicle to help your fuel go farther! Another simple step you can take to conserve fuel is to check your tire pressure regularly. The lower the tire pressure, the more gas your car needs to move it. So, staying on top of your car’s maintenance will not only prolong the life of your vehicle, but conserve fuel and make your dollar go farther! Are you guilty of any of these gas guzzling causes? If so, start becoming aware of these habits and remember the steps you can take to improve them. Do you have any gas saving tips you’ve found to be beneficial? Share them with me in the comments below!